Sport & Social Club has you covered: Awesome NEW uniforms! 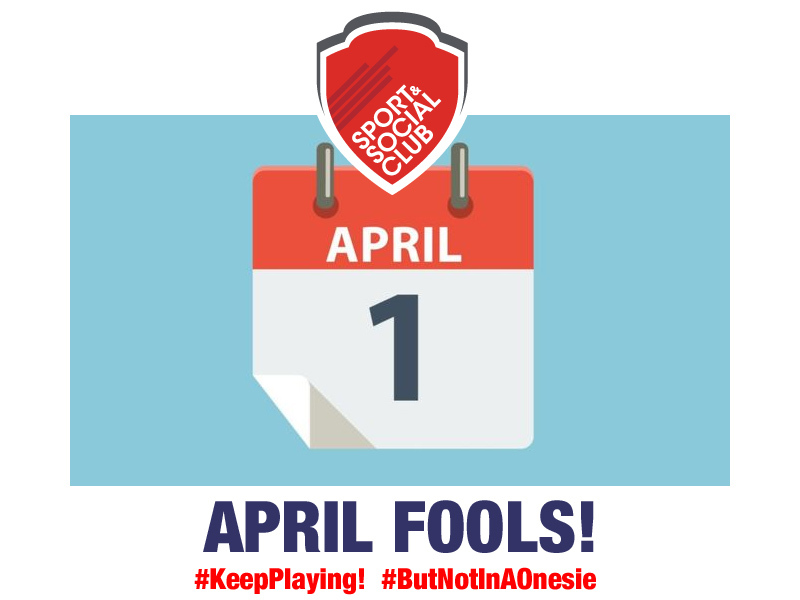 The Sport & Social Club is excited to announce a new partnership that will be providing all our teams across ALL sports leagues with new team uniforms for this coming Spring/Summer season: sports onesies! These new uniforms will be comfortable and functional for Softball, Basketball, Soccer, Flag Football, Ultimate, Beach & Court Volleyball, Dodgeball, Pickleball, All Sorts of Sports, Bar Games and more! Made from all natural polyester/terry blend, the onesie will move with you like a second skin. Benefits; the new onesies are fashionable, cozy and will provide incredible UV protection with full coverage of arms and legs. Hood will be a great option for additional sun protection of scalp and face. Mandatory Uniform; please note that the new sports onesies will be the mandatory uniform at all Sport & Social Club games this coming Spring and Summer season. Teams who have already completed their uniform T-shirt order will simply have their Onesies processed with their T-shirt sizing instead. For teams who have yet to complete orders, please be sure to do so asap to ensure you get your new team sports onesies in advance of your first week of games! SSC staff will be doing venue checks to ensure the sports onesie uniforms are being worn during games. Subs for your team must have signed a waiver as well as have a Onesie uniform to borrow for all games. SSC Softball teams will be looking stylish and cozy in their new softball themed onesies! Partner Info; We always aim to ensure our partnerships are a great benefit to our members! We hope you’ll be as excited as we are with your stylish, functional and protective new team uniforms! We are excited to be partnering with Lirpa Loof Brands) in order to provide all Sport & Social Club members with the highest quality apparel for the coming season! Posted in Feel Good, From the SSC Brain, Is This a Sport?, SSC Announcement. Bookmark the permalink.